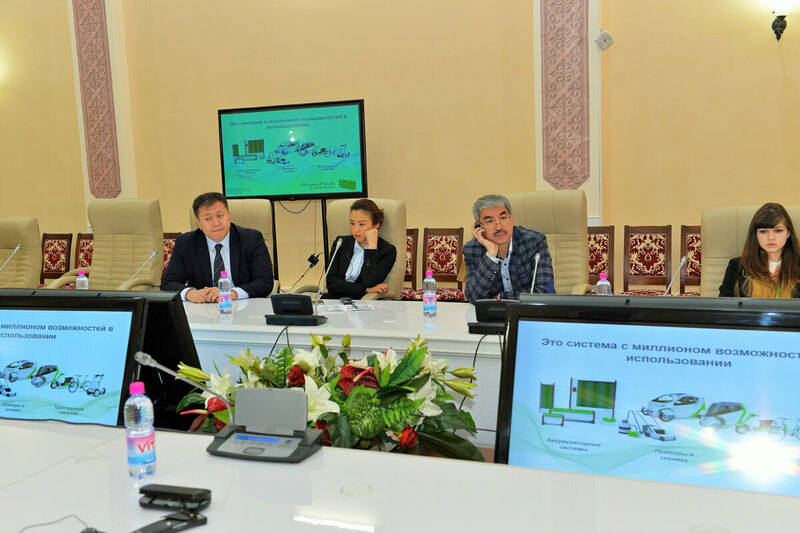 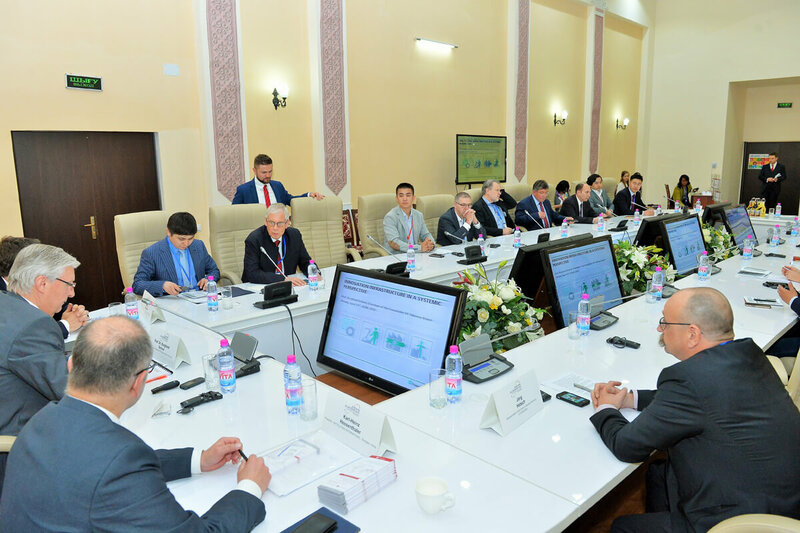 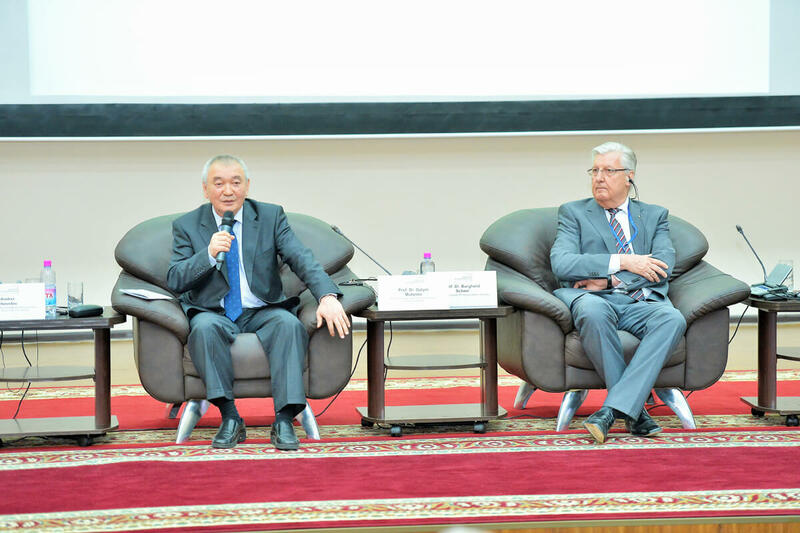 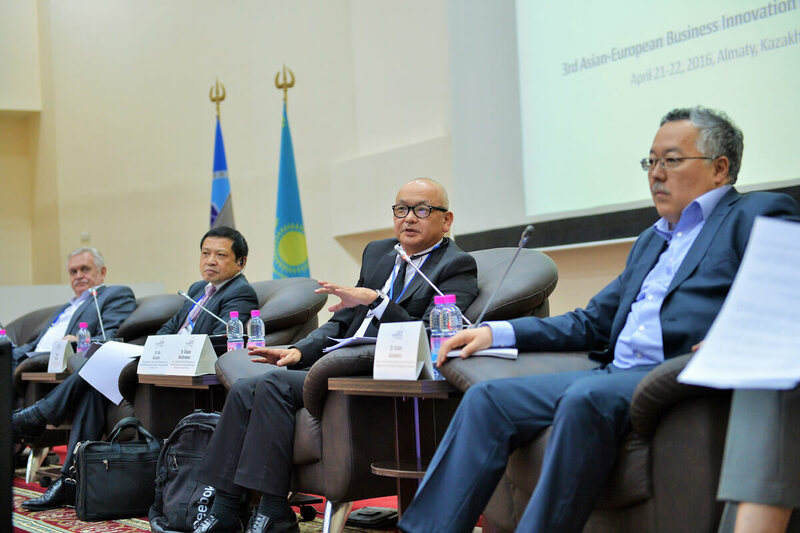 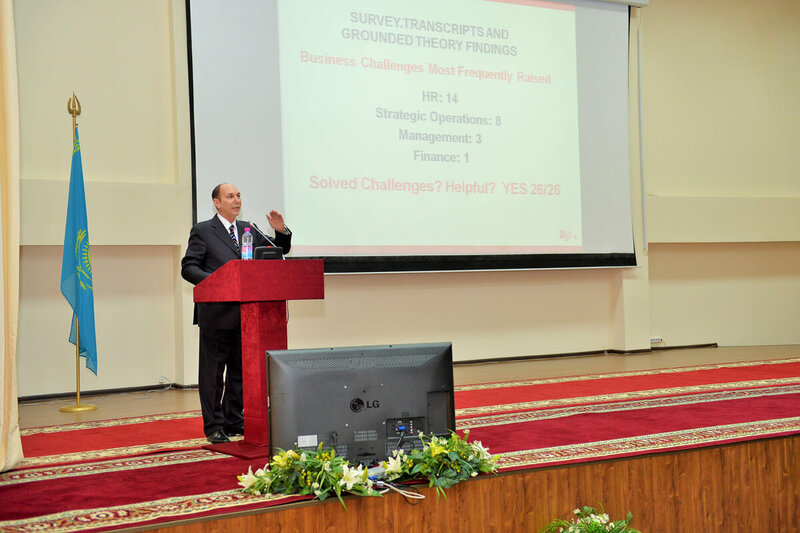 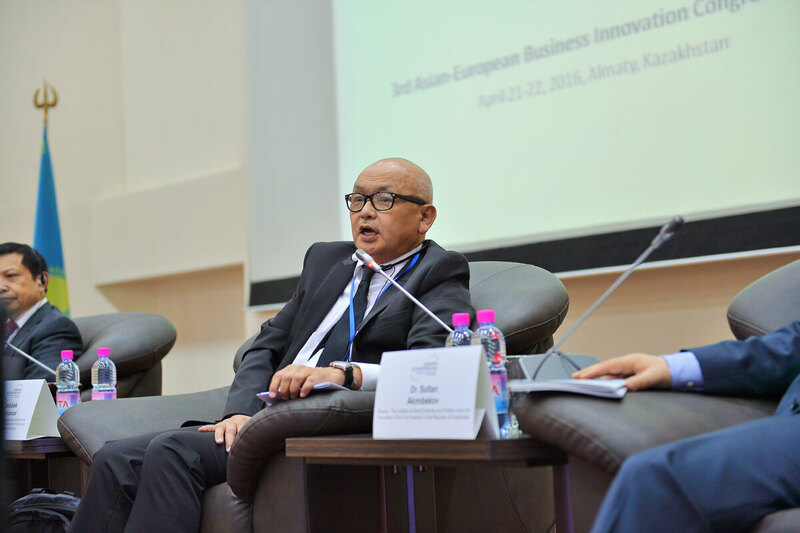 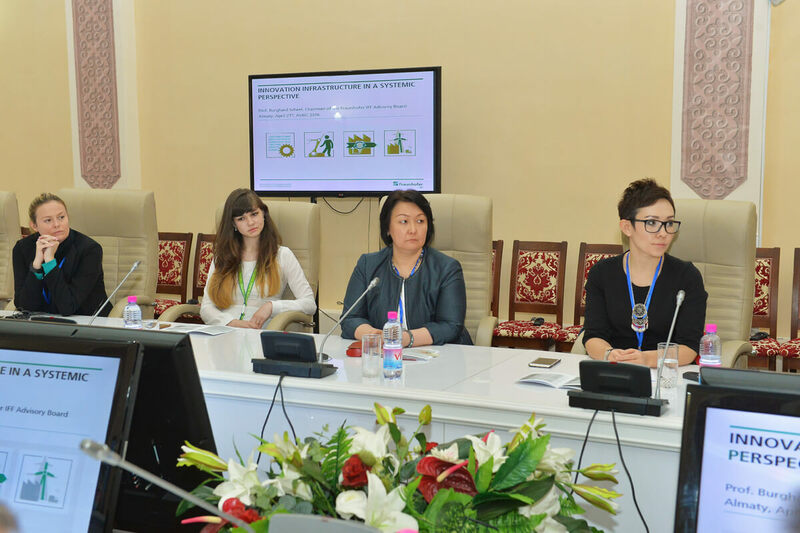 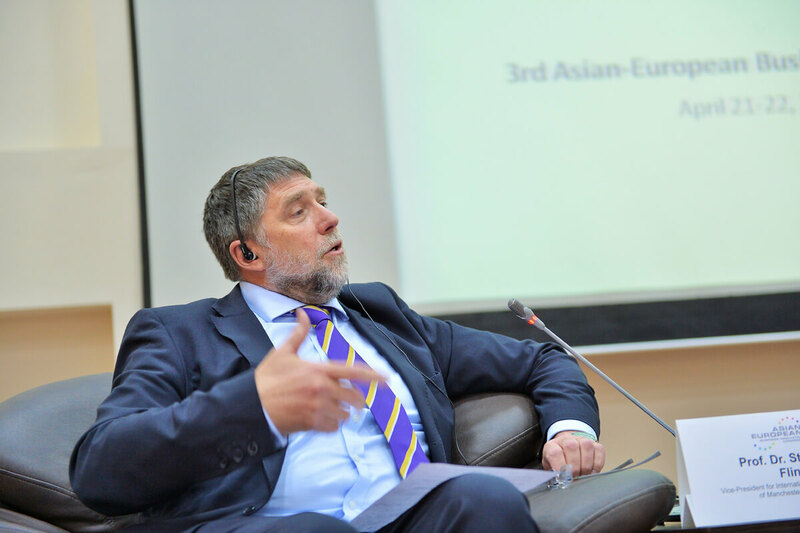 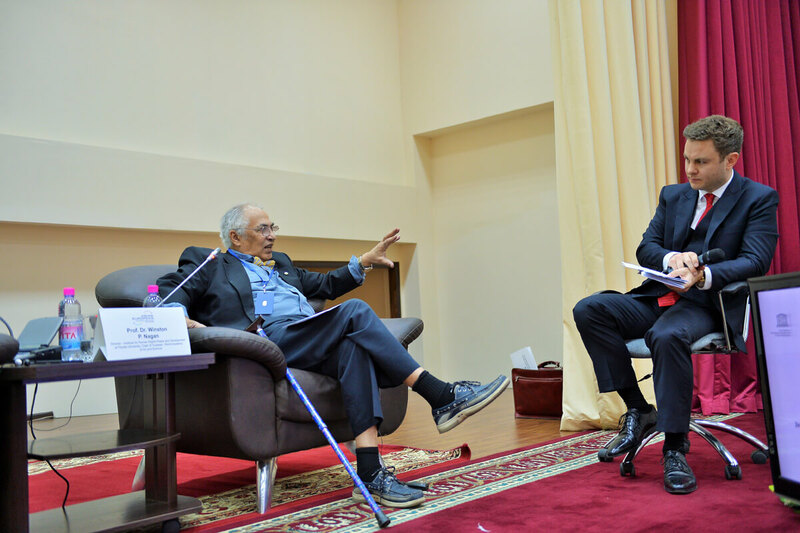 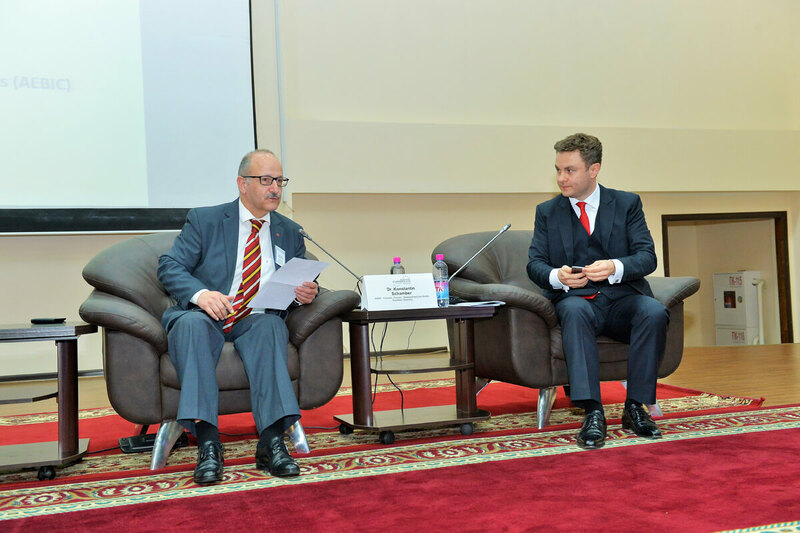 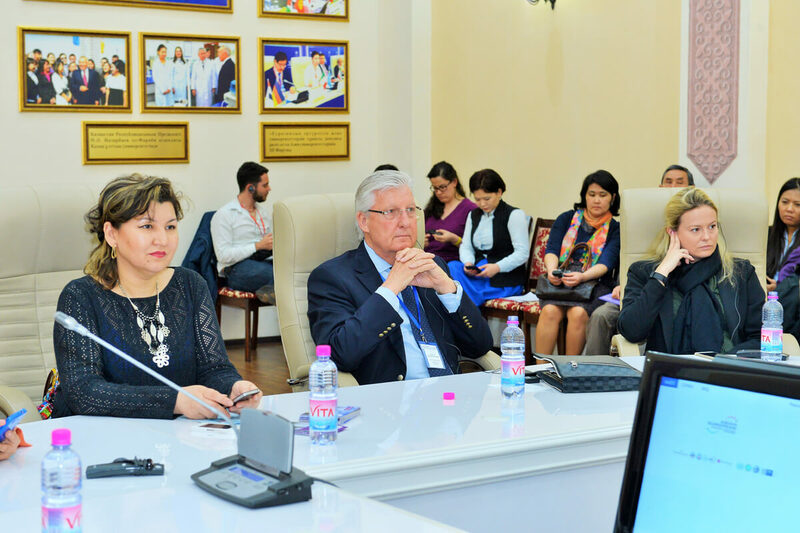 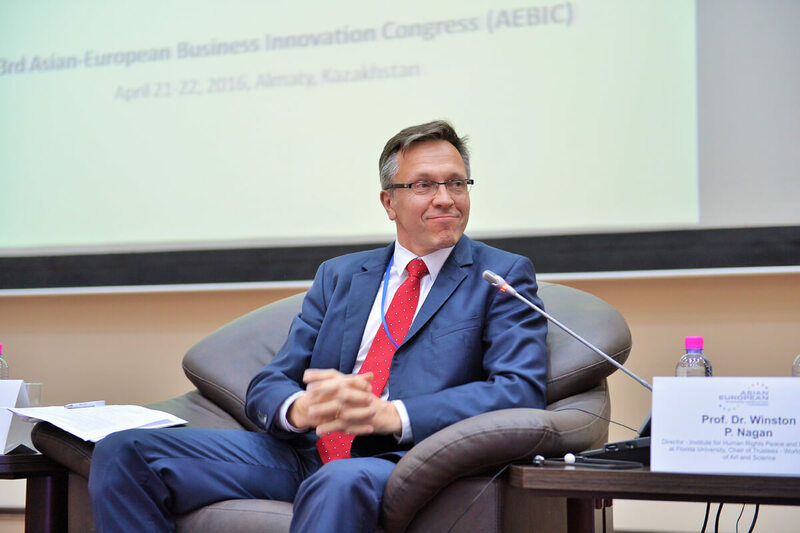 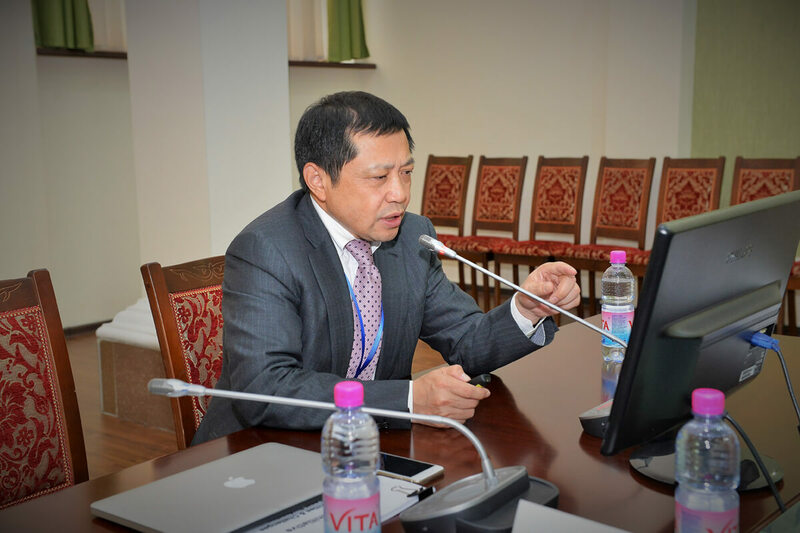 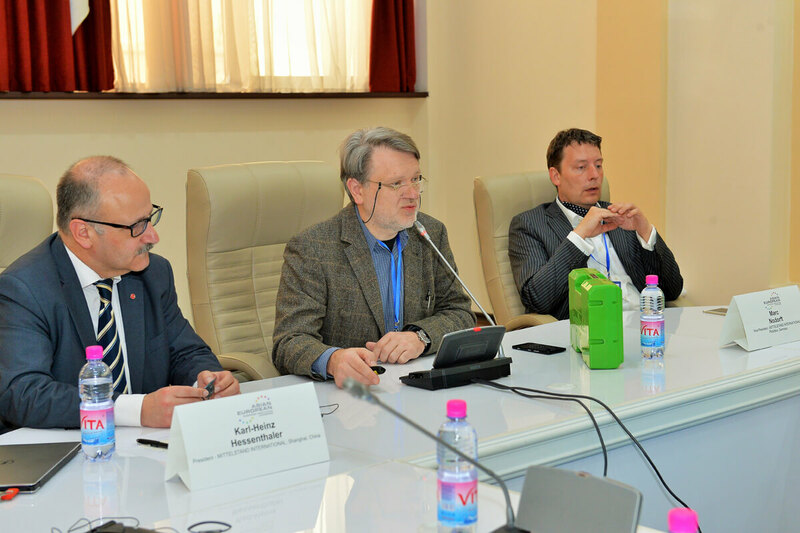 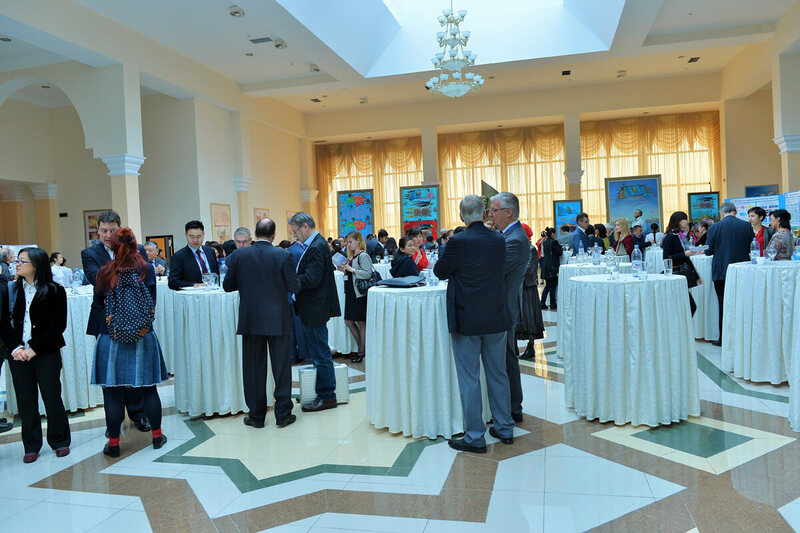 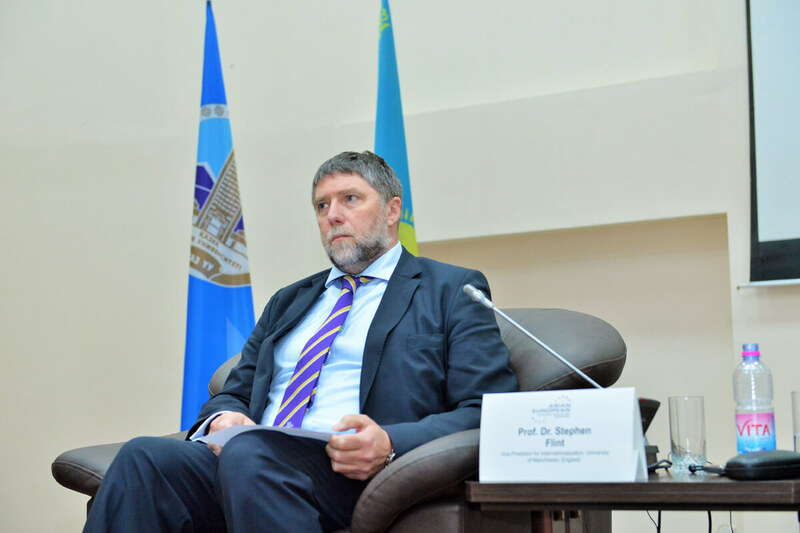 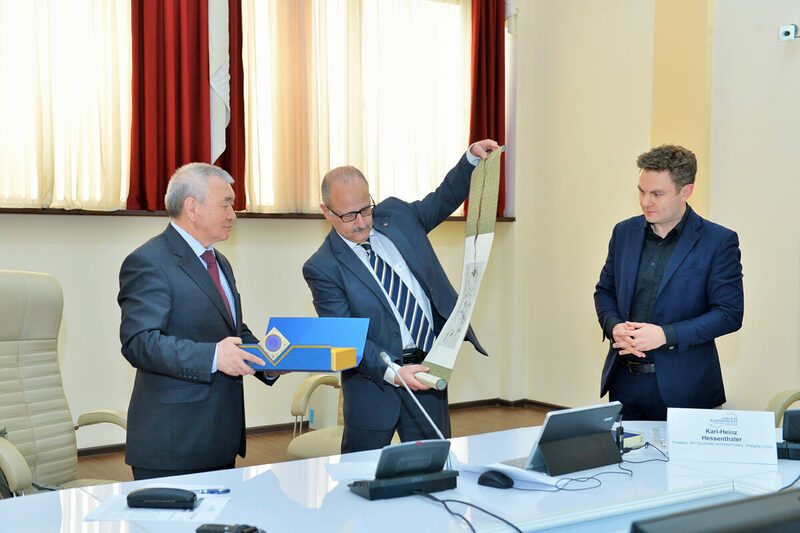 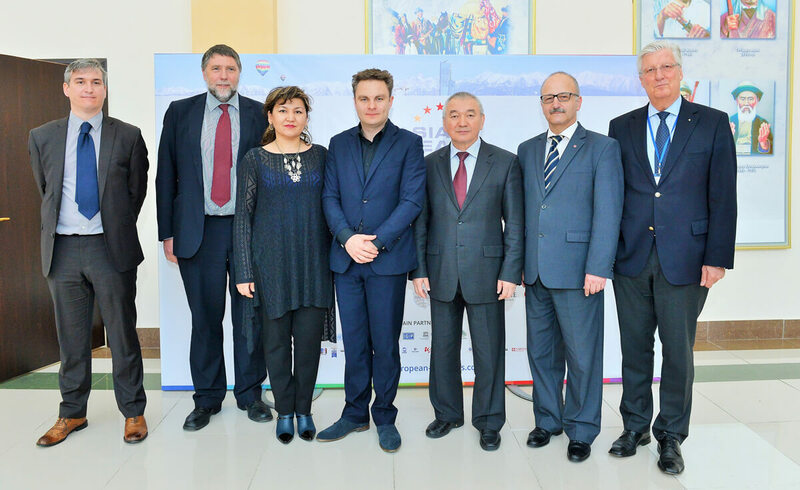 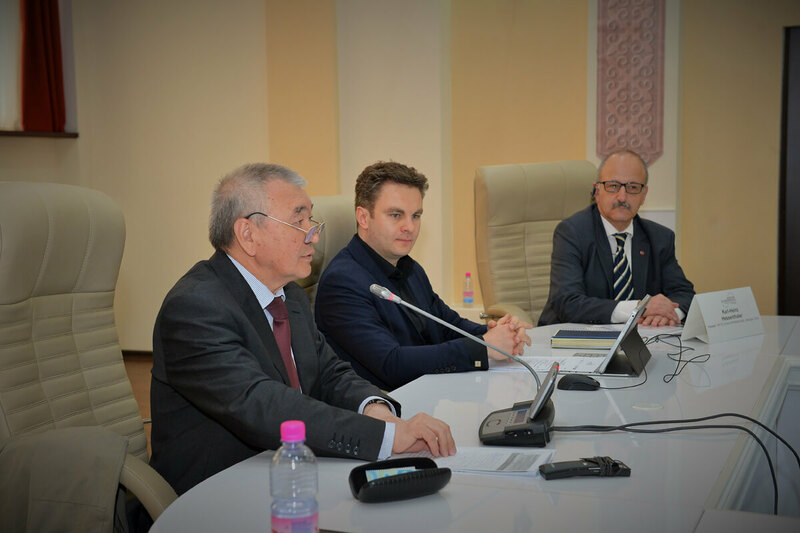 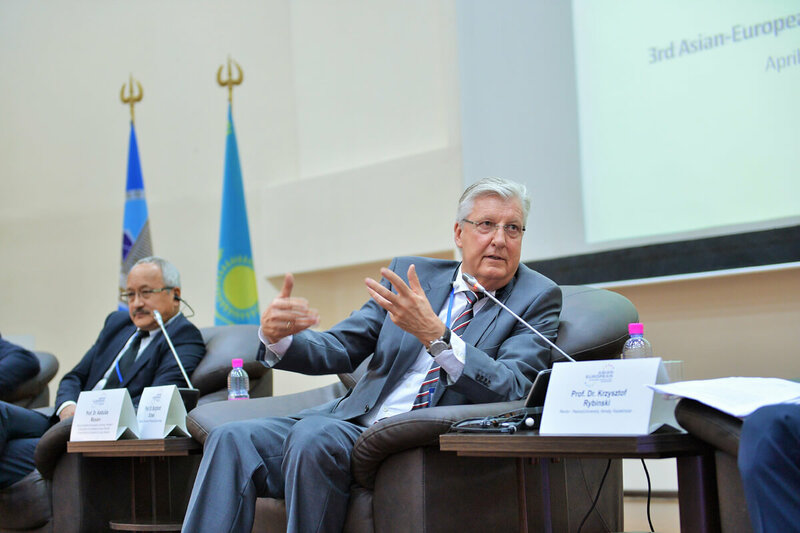 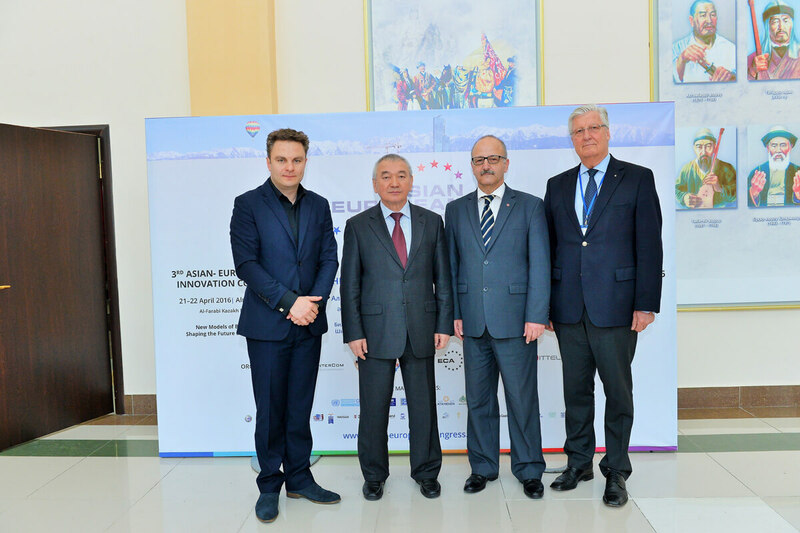 The 3rd Asian-European Business Innovation Congress took place in Almaty, Kazakhstan from April 21 to 21, 2016 at the Kazakh National University named after al-Farabi. 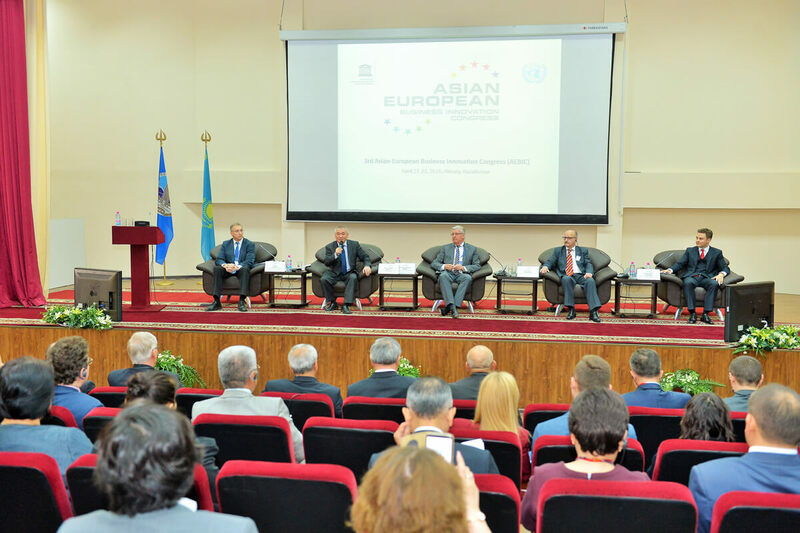 Over 300 delegates from four continents participated in the event dedicated to the main theme: "New Models of Business Partnership: Shaping the Future of East-West Cooperation". 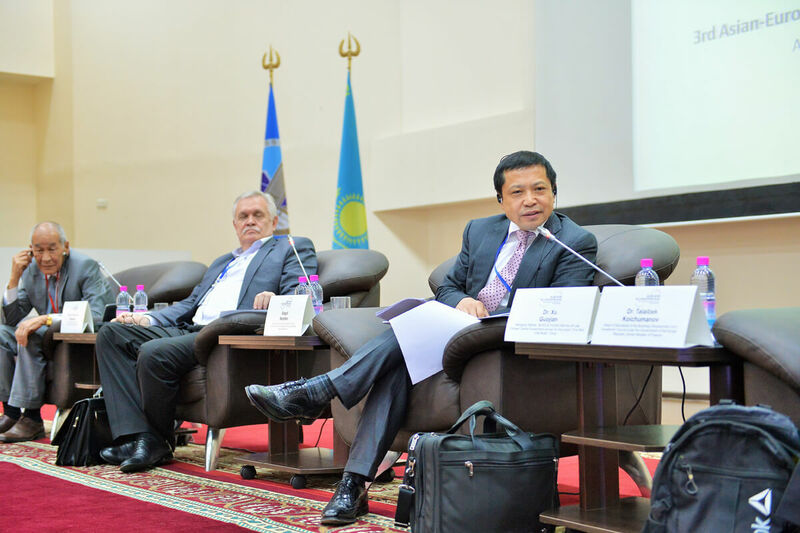 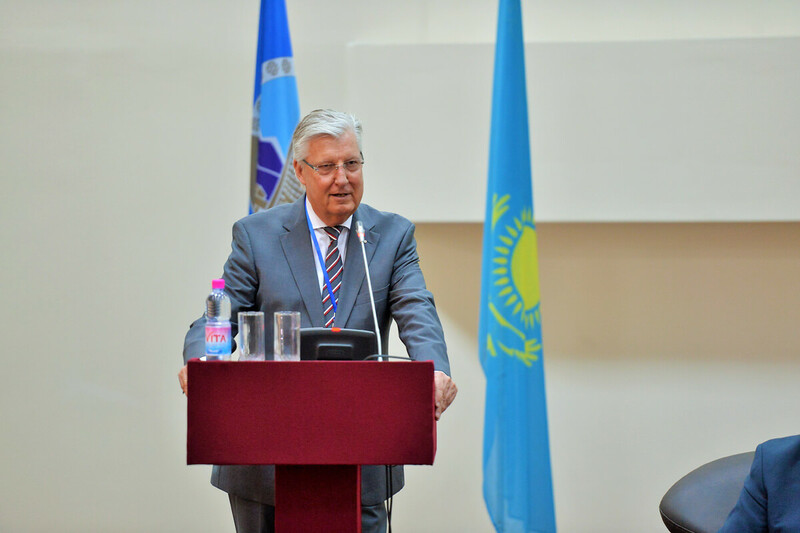 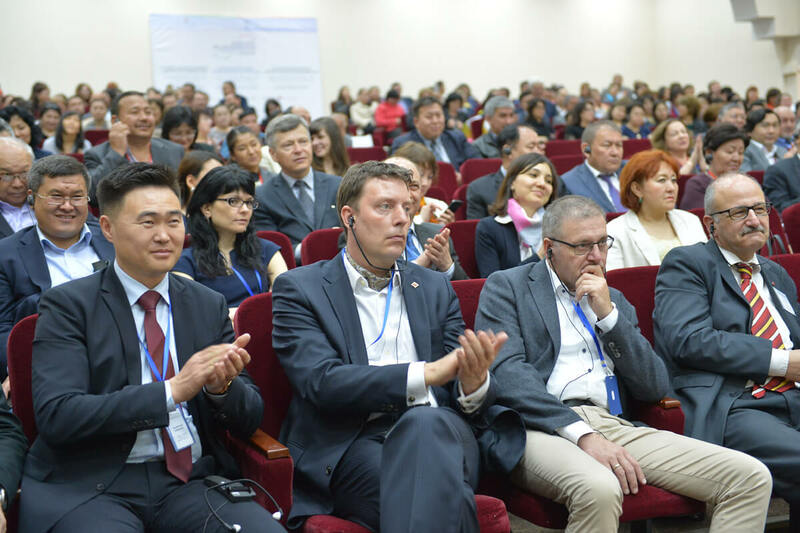 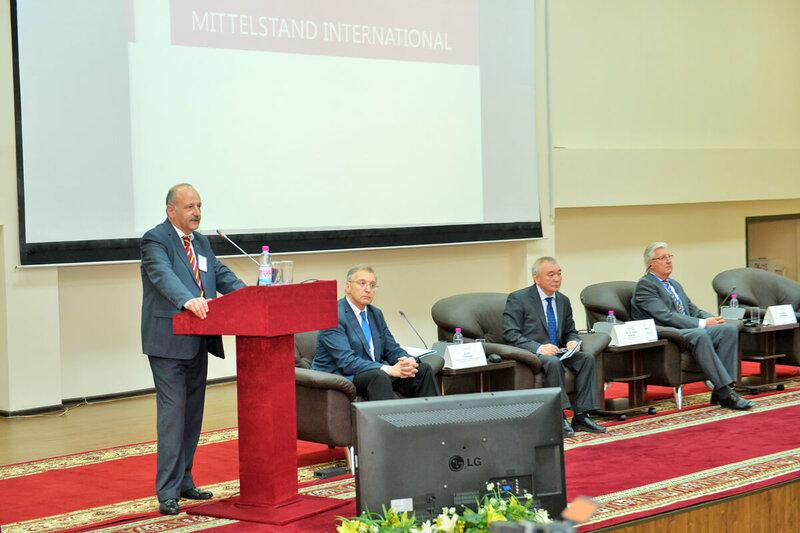 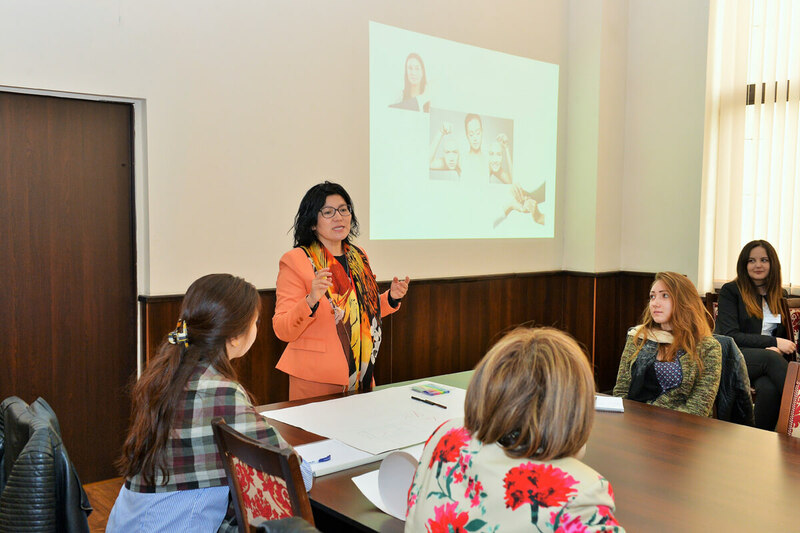 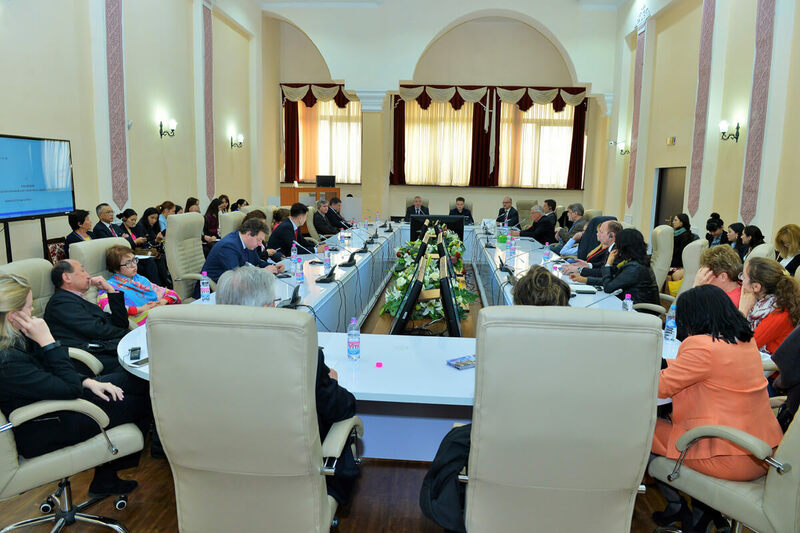 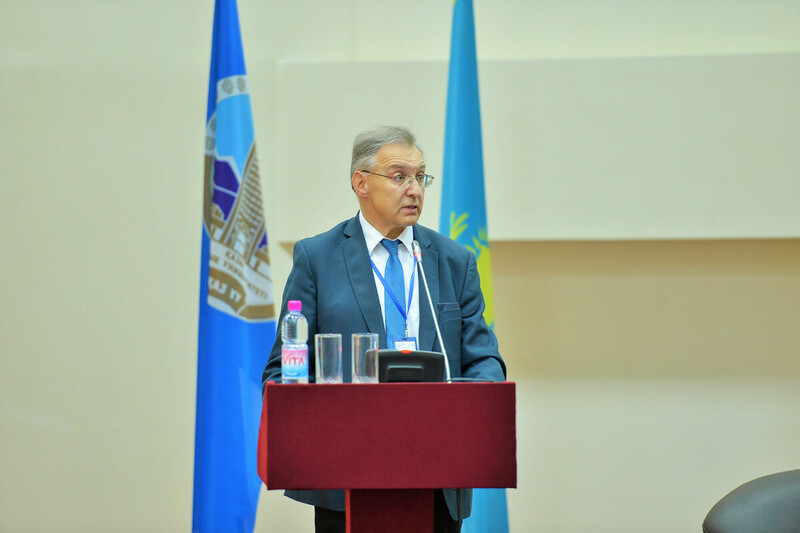 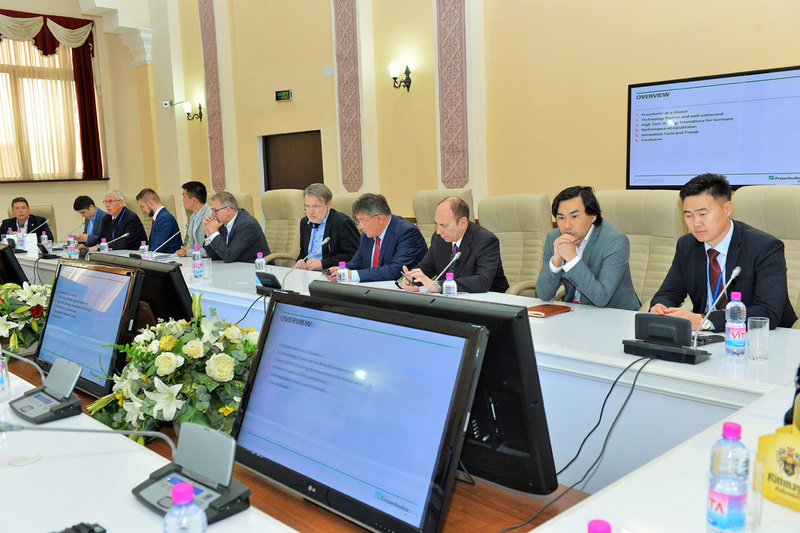 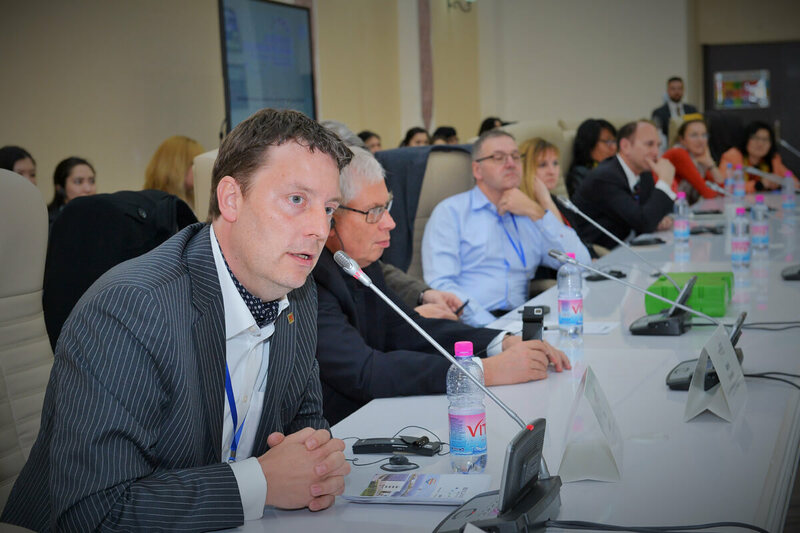 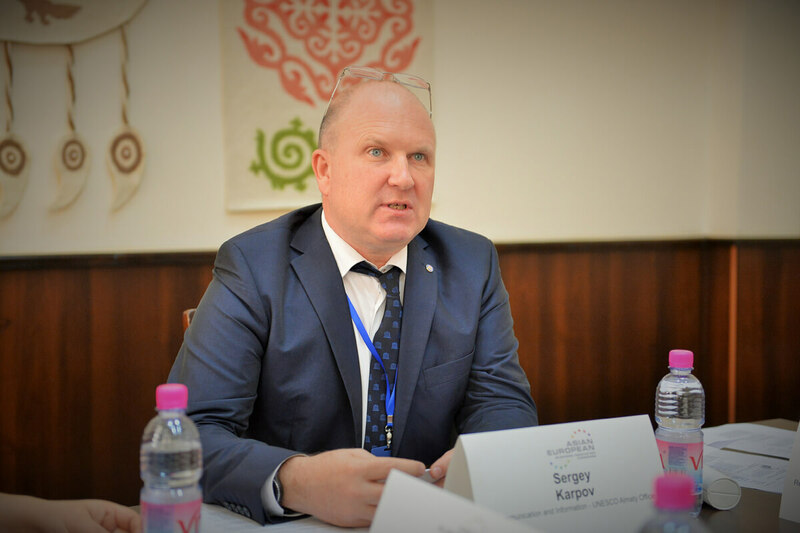 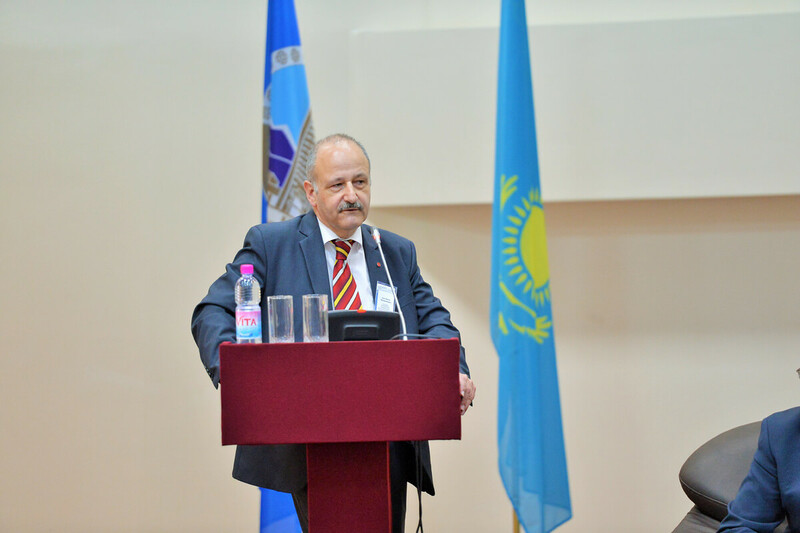 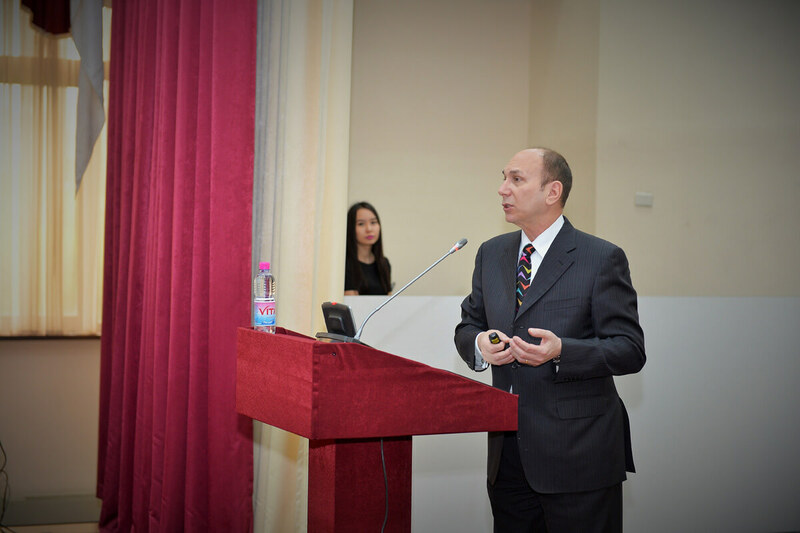 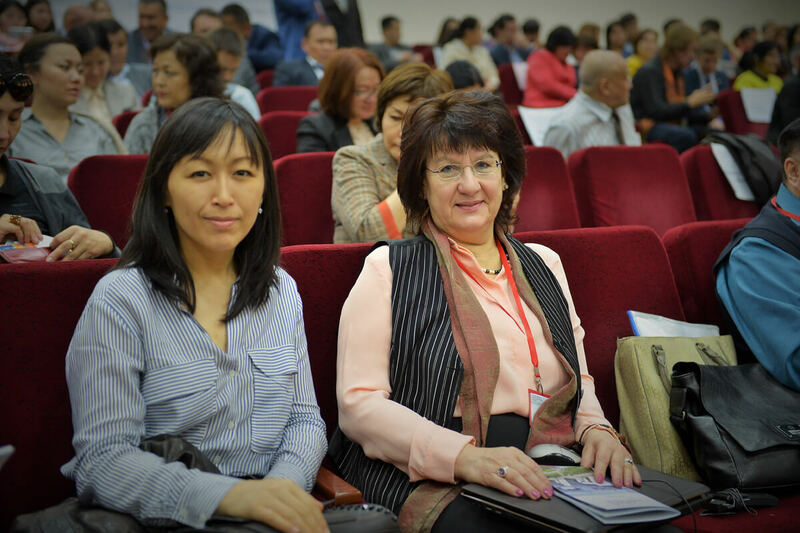 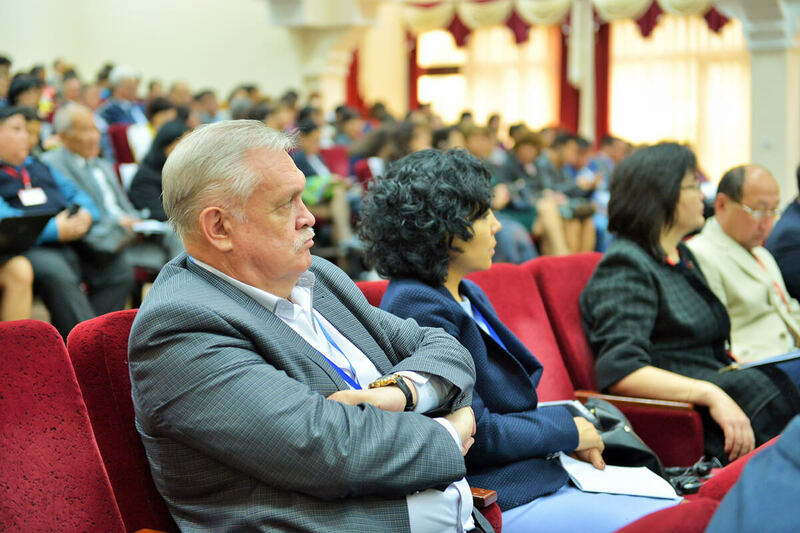 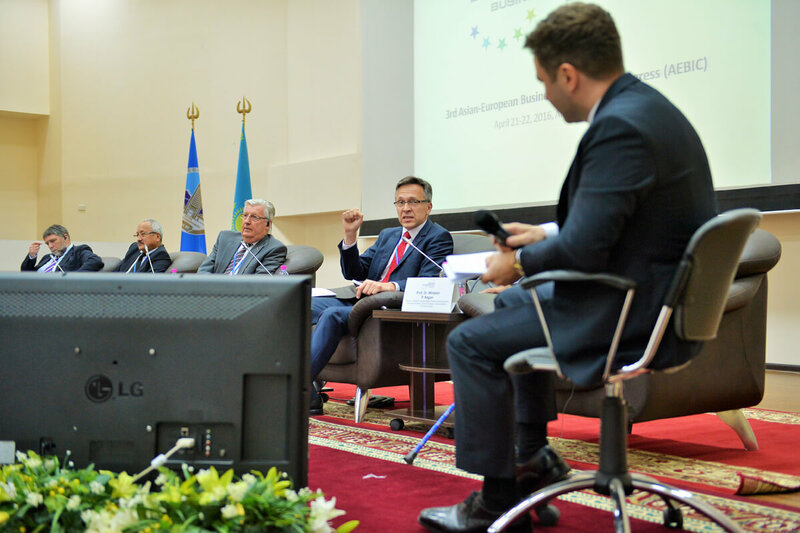 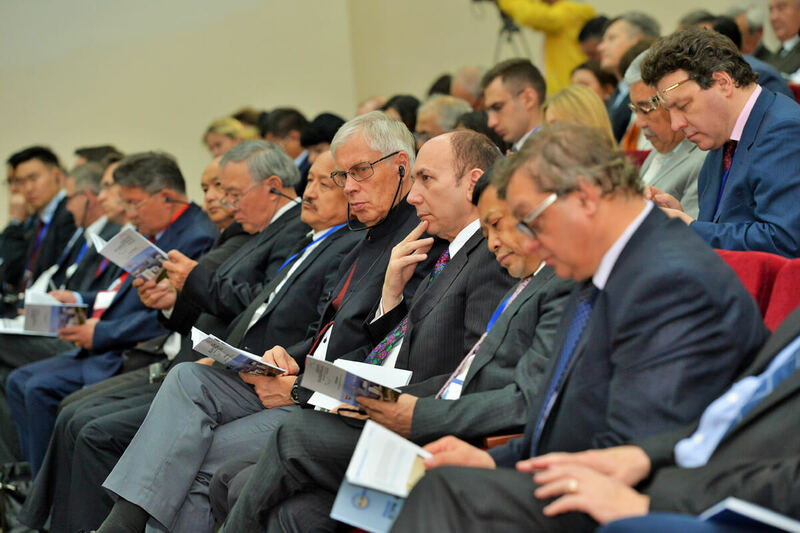 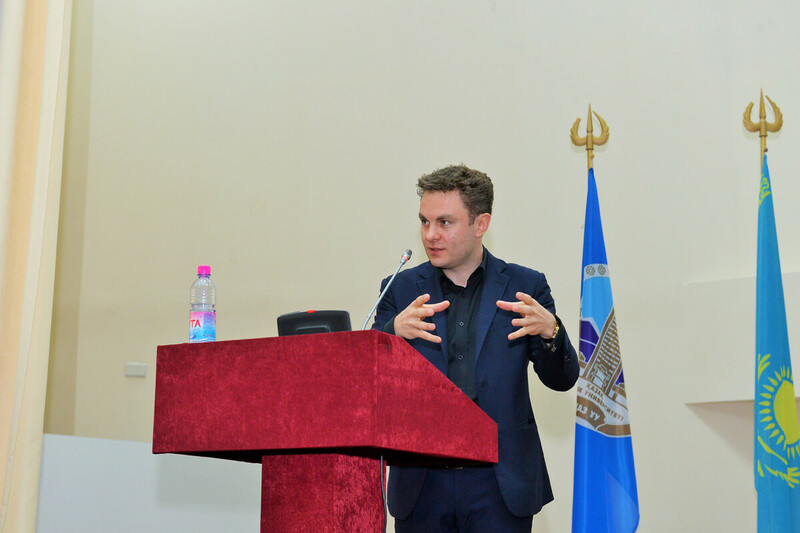 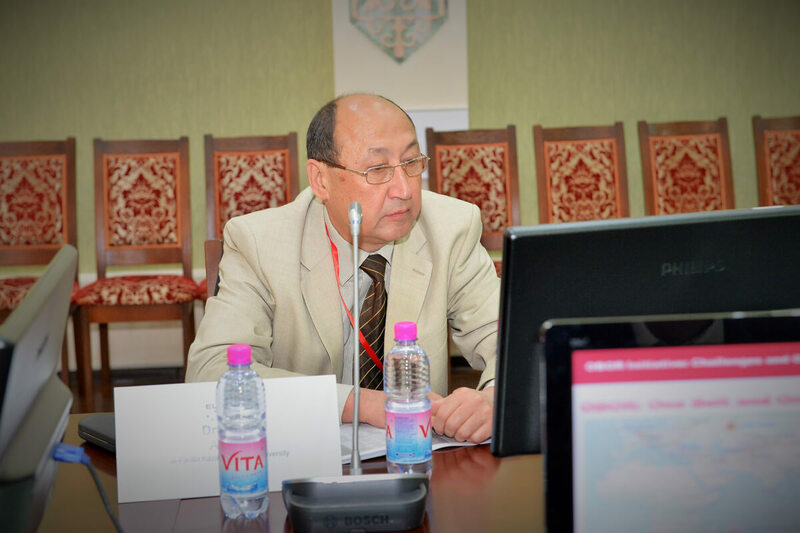 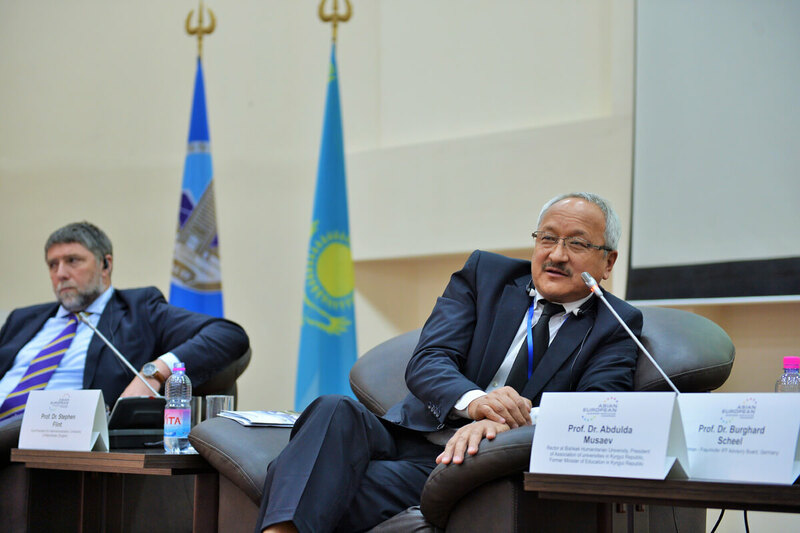 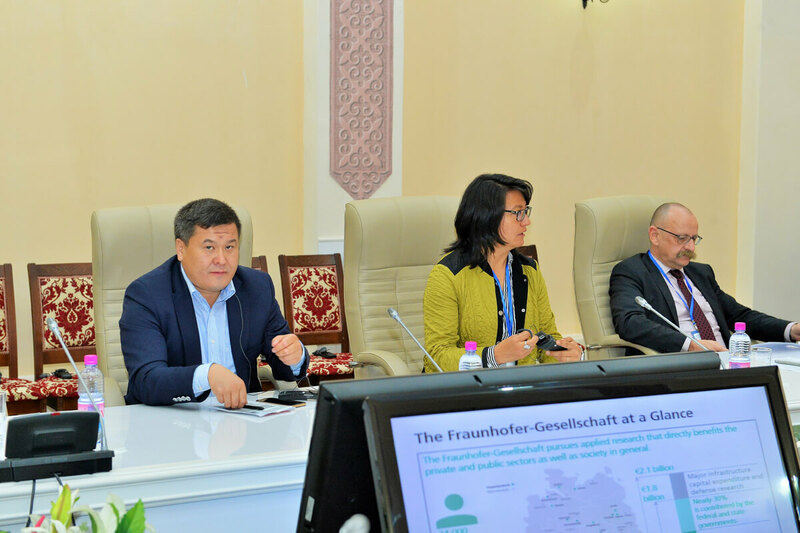 The main agenda of the Congress 2016, organized by the Center for strategic intercultural communication (StrategicInterCom GmbH), the Kazakh National University, MITTELSTAND INTERNATIONAL and with the support of the United Nations Information Office in the Republic of Kazakhstan, UNESCO Almaty and the Union of German Economy in Central Asia, was the creation of a business platform for the development and strengthening of cooperation between East and West in the field of industrial and innovative growth of small and medium-sized and enterprises, modern public and corporate governance, public-private partnerships, as well as the development of business education in higher education institutions of the region and the nearest partner countries. 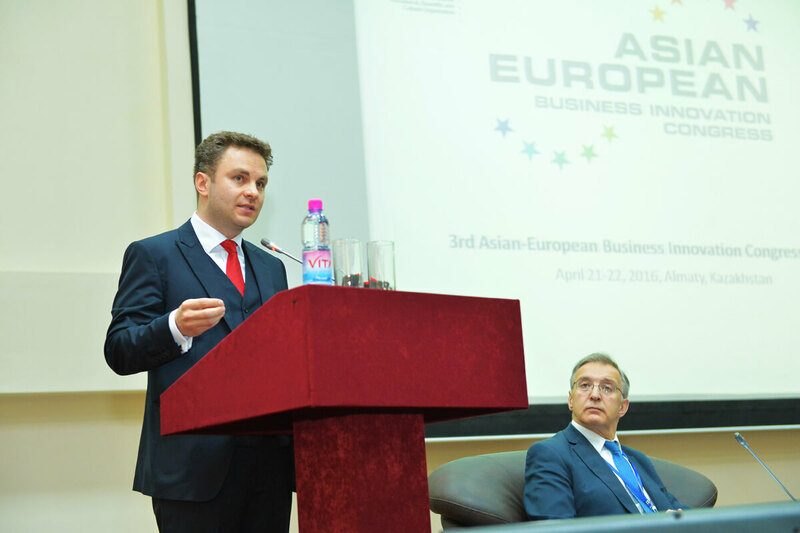 A unique feature of the 3rd Asian-European Business Innovation Congress was round tables and master classes headed by national as well as international companies, entrepreneurs, researchers and practitioners from more than 20 countries and organizations such as: the German-Chinese Association of medium-sized enterprises, the Union of German Economy in Central Asia, German business club in the CIS, Fraunhofer Institute IFF, the Club of Rome and the World Academy of Art and Science, the European Coaching Association, Institute of World Economics and Politics under the Foundation of the First President of the Republic of Kazakhstan, Kazakhstan Tourism Association, Kazakhstan Association of Engineering Education, National Academy of Sciences of higher school of Kazakhstan, UNO Information Offices in Kazakhstan, Chambers of Commerce of Central Asia, as well as diplomats from America, EU and Asian countries, senior officials of the ministries of education and the economy of the Central Asian Republics and the rectors of the leading universities in the region, adviser of Chinese Central Government by "one belt - one road” project. 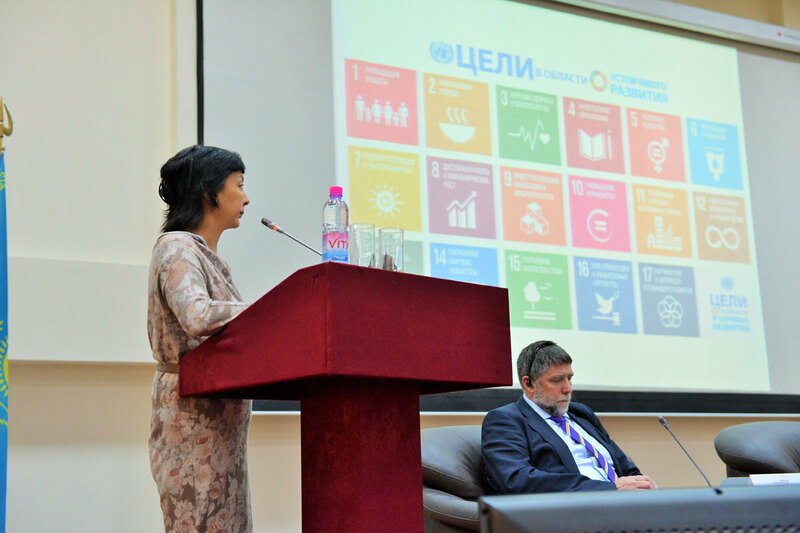 Of particular importance for the Congress 2016 were discussions on the implementation of 17 sustainable development goals developed by the United Nations for the whole of humanity for the next 15 years. 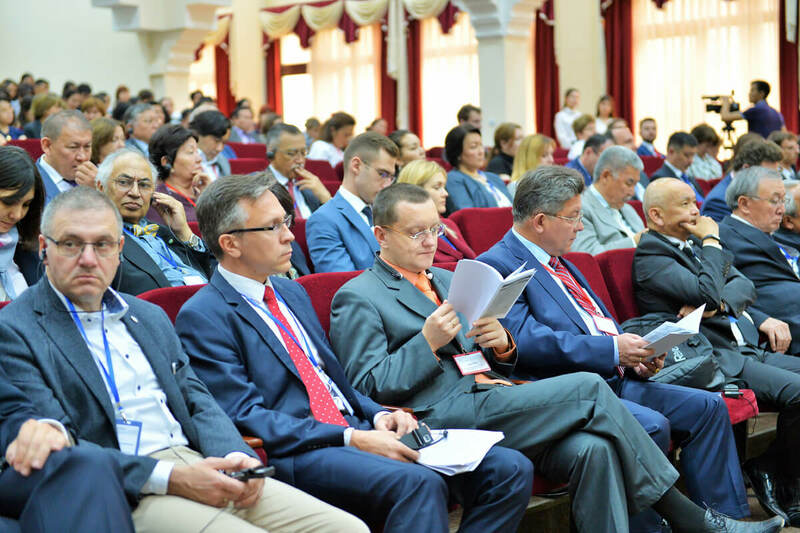 Moreover, the Congress´ mission was to embark on forming a large-scale business platform to develop and strengthen East-West cooperation for the innovative growth of medium and large enterprises, modern public and corporate governance, and the development of entrepreneurial education in higher educational institutions in the region. 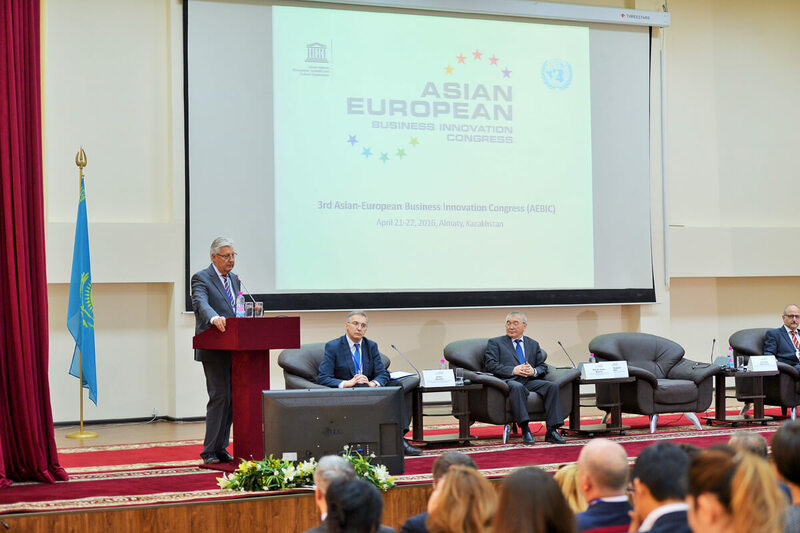 By bringing together investors, entrepreneurs, managers of companies and organizations, scientists, representatives of chambers of commerce and the rare specialists in the field of human resource management from four continents, the Asian-European Business Innovation Congress has established itself as an effective Asian-European platform to find business partners and to promote international cooperation for the third time.